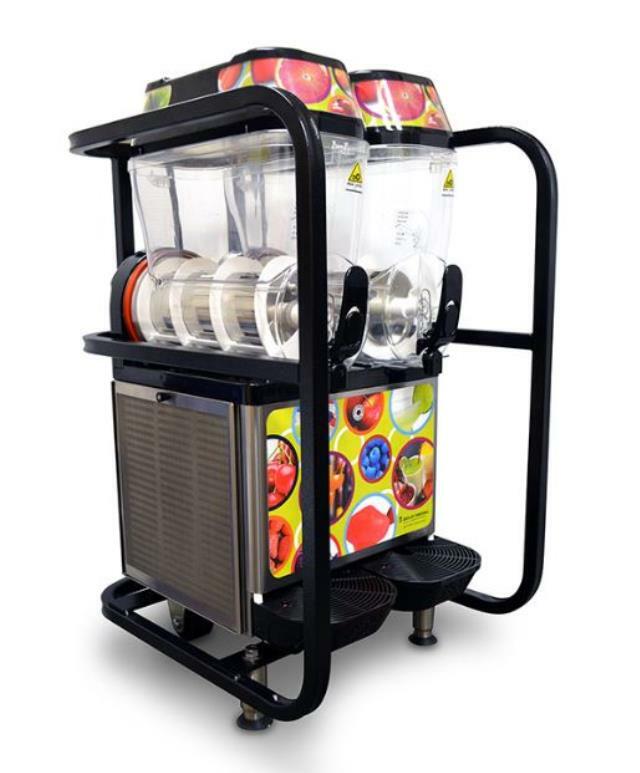 Liven up the party with a slushee machine. -This is a 2 bowl unit so you have the ability to serve 2 flavors. -Unit must be transported upright & be leveled for use. -Unit dimensions = 40"H x 20"W x 25"D Weighs approx. 125 lbs. -Capacity of 2 1/2 gallons per size, 12"h cup clearance. -If using w/alcohol. Put alcohol in cup then add slushee flavor. * Please call us with any questions about our slushee / frozen drink machine rentals in West Bend, Hartford, & Milwaukee WI.